Fall at White Oak Pond. 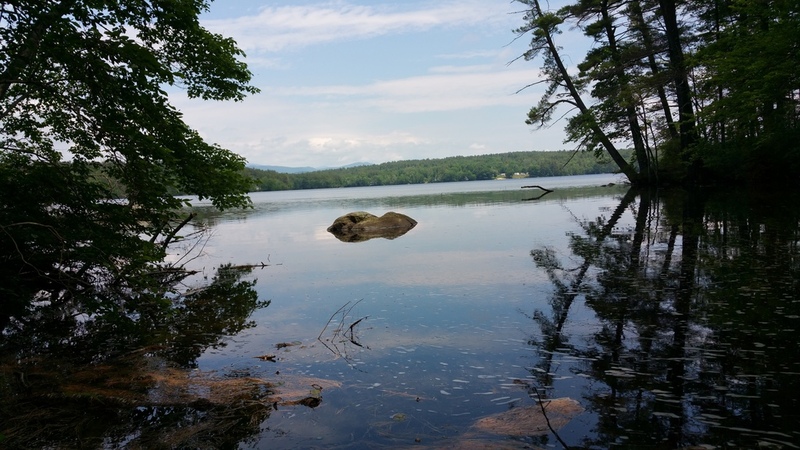 White Oak Pond, located in Holderness, NH, is a peaceful lake whose waters flow into beautiful Squam Lake, the second largest lake in New Hampshire. The pond's natural beauty attracts visitors and residents alike for kayaking, canoeing, fishing, and swimming, as its waters are free of motor boats above 7.5 hp (by law). 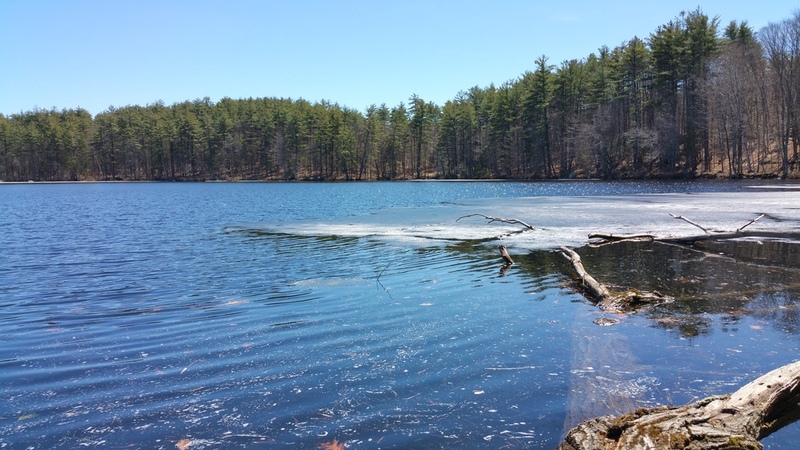 The pond consists of approximately 290 acres while the entire watershed is 10 times larger than the pond itself (over 3000 acres). 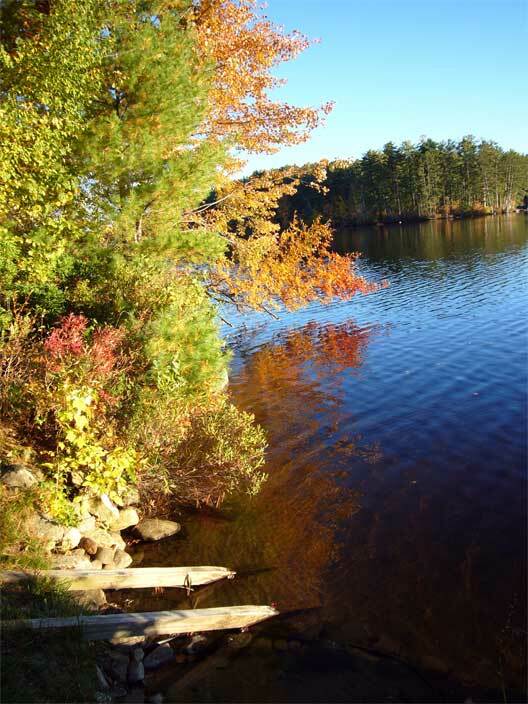 The White Oak Pond Watershed Association (WOPWA) is an organization which was established to promote the conservation of the natural, scenic and historic resources of the watershed, and to protect the quality of the waters and tributaries of the pond. 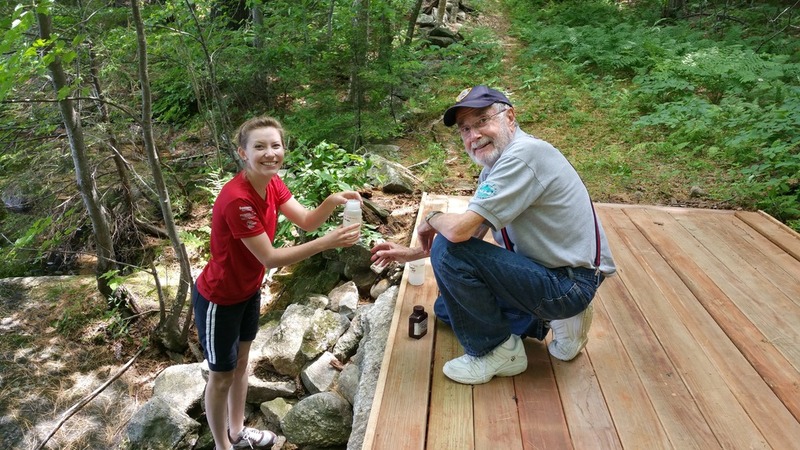 WOPWA achieves these goals through a variety of activities including monitoring the pond's water quality, assisting in establishing land conservation easements, participating and being a voice in other local conservation organizations and other various activities.